Worse than severely scuffed shoes or run down heels, a poorly maintained designer handbag is never in style. From spots and stains to dust and grime, here are 16 ways to care for your designer handbag and retain its’ eye appeal. Clean your leather handbag with water and mild soap. Mix a cup of warm water with one or two tablespoons of mild liquid soap. Dip a clean cloth in the soapy mixture. Wring the cloth to remove any excess water. Wipe the purse with the dampened cloth. Pat your purse dry with a dishtowel or an old clean rag. Moisturize and polish your leather. Apply a leather conditioner to stop cracks along the base of your designer handbag and extend the look of your purse’s handle. To keep your leather bag germ-free, clean its exterior with alcohol-free, baby wipes. Maintain your leather bags with a neutral polish (I love this amazing clear cream , which one Amazon.com reviewer called “a miracle in a jar”) is called Moneysworth & Best Shoe Cream. To use, first, test the cream on a small spot, near the bottom of the bag. If the leather discolors, do not continue using the product. Gently, clean your suede handbags. Suede is notoriously difficult to clean, so handle this precious leather with care. If your handbag has stiff leather handles, wrap them in old cotton T-shirts, to keep the leather away from the supple and fragile suede material. (Never use a leather conditioning treatment on your suede designer bags.) A stiff suede brush or suede eraser can repair gentle scuffs, but you should leave the serious stains to professionals. Add sparkle to your patent purses. 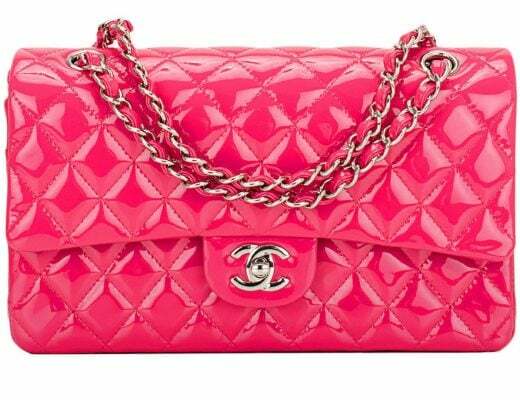 Clean your patent leather handbag stains with Windex, spray glass cleaner or rubbing alcohol. 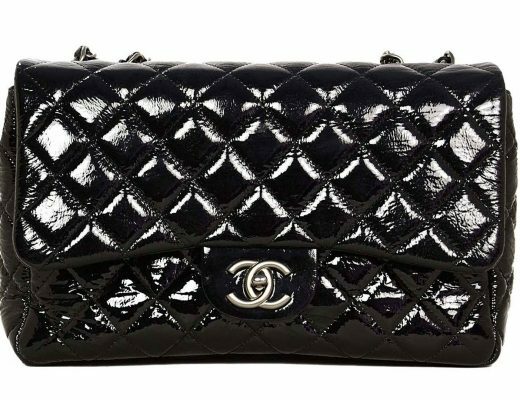 Use cotton balls and a clean cloth to add shine and wipe your patent leather designer purse clean. Use olive oil to remove any small scratches. 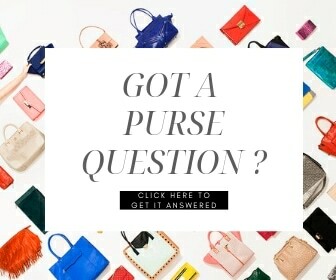 Perform a patch test on the bag to prevent the oil from staining the surface of the purse. Using a cotton ball, dip the edge of the ball into a capful of olive oil. Rub the oil on the underside of the purse to test. If the oil does not damage the bag, rub the oil into the scratch using small circular motions. Vinegar helps to revive the pretty in your old patent bags. You can clean your patent purses with a small dot of vinegar applied with a soft fabric. It's important to isolate patent leather bags from dark-colored bags to prevent discoloration. 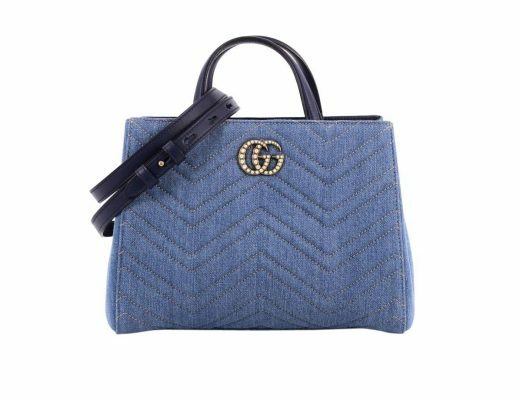 Exotic handbags, like snakeskin handbags, need special care. Before you carry your exotic purses, always apply a light coat of Collonil waterproof spray to protect your exotic skins from accidental spills, rain, and dirt. I always buy this Collonil spray because it is the best product on the market to get rid of dirt and water marks on any exotic purses. While you can clean these bags with a white cloth and a dab of water, any serious repair should be left to the experts. In 2016, repairing a small snakeskin bag can cost you anywhere from 100 to 200 dollars. Apply shoe cream polish to cover scuff marks. Using a small clean cloth or old T-shirt, apply a neutral or matching-colored polish to your purse. Buff the handbag until the cloth comes away clean and the scratch vanishes; you don’t want any shoe polish to rub onto your clothing. No Bag Stuffing – Carry necessities only. Leave the heavy loads to tractor trailers and U-haul. Your designer bag and its handles can be stretched beyond repair when you overload it with too many items. Overstuffing can weaken bag stitching as well. 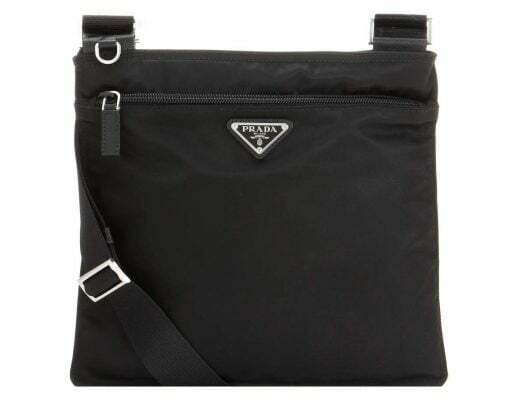 Weather Protection – Rain guard is not needed for most leather bags. So, you can skip the silicone spray for weather protection. If you’re caught in the rain, dab the splashes of water with a soft cloth. Don’t wipe the moisture away. Beware of Beauty Products – Handbags and beauty products don’t mix. Cosmetics, perfume, and lotions can cause bag discoloration. Products that beautify your face and body may seep into the skins of your bag and age the materials. If cosmetics spill into your purse, wipe them off with a clean, damp cloth. Dust bags are not optional. 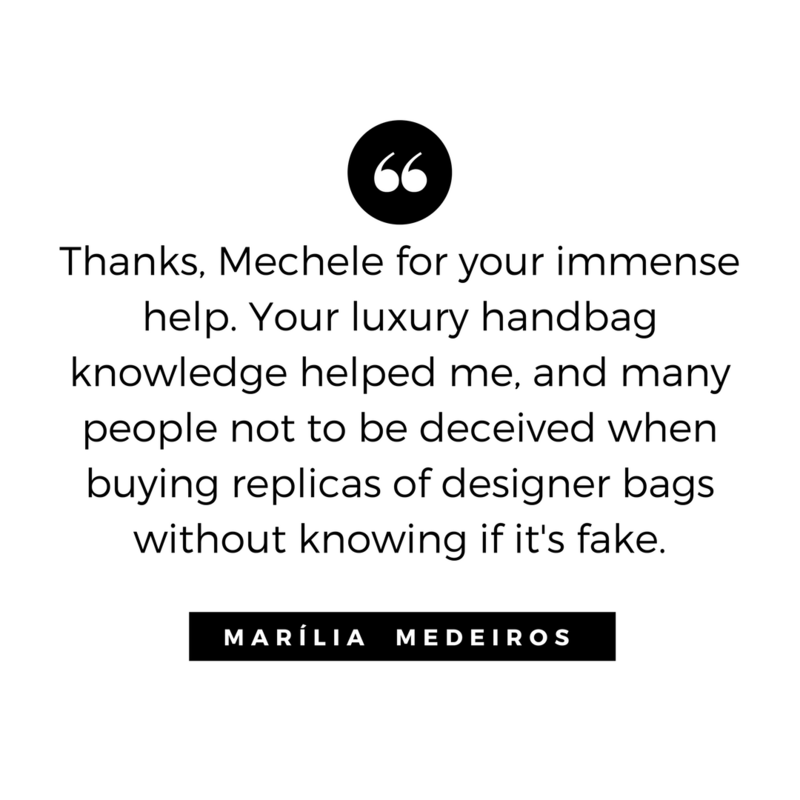 A designer handbag is sold with a dust bag to protect your investment from dust, dirt, and debris. Don't have a fancy-flannel-drawstring-pouch to store your purse? A cotton pillowcase works just as well. Or you can buy these inexpensive, and durable, white cotton bags from Amazon.com. Give me a handbag break. The everyday handbag is an oxymoron. Just like shoes, bags need a chance to breathe. Don’t carry the same bag every day. 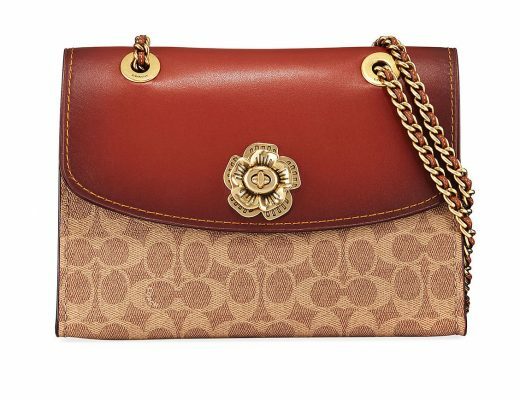 Select three designer handbags for work and rotate these three purses weekly. If you follow this one tip, your bags will last longer — whether you paid 20 dollars or 3,000 dollars. Pamper your fabric purses once a month. Fabric bags attract dust more than any other material. Rub them down with a cotton cloth and lint roller before storage. Refrain from using fabric pens and cotton stain sprays for blemish removal. Severe stains, however, require the work of a professional. Your bags need proper storage techniques. Retain the shape of your bag with acid-free, tissue paper or bubble wrap. Keep bags upright in your closet on a shelf. Don’t pile bags on top of each other in the bottom of your closet. Never stuff newspaper or colored tissue inside your handbags. The newsprint and colored ink will discolor the inside of your purse. Small bags need pampering, too. To help keep their shape, wrap small bags in tissue paper and place in paper boxes for storage. I like these inexpensive, fabric closet drawer organizers to store my small bags in my dresser or in my cloet. Chain handles should be tucked in bags to prevent creases and broken links. 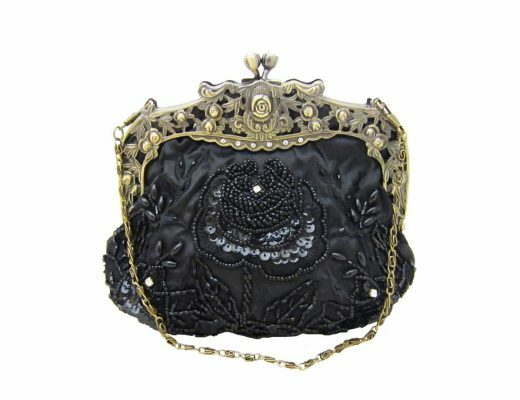 Bags with beads, sequins, Swarovski crystals and jeweled ornamentation should be stored separately. Refresh your designer handbag's hardware. – If the metal accents on your favorite designer handbag are scratched, apply a metallic leafing pen to fill in the scratched areas. You can buy this inexpensive pen at craft and art supply stores for 5 to 7 dollars. Fill in the scratched hardware with the pen, then let the metal pieces dry for a minimum of two hours. Pamper the inner lining of your purse. Clean the interior of the bag by gently pulling it from the inside out, and swiping a lint roller inside the purse to remove dust and debris. If you can't pull the lining up and out of your bag, can use the small fabric brush attachment of your vacuum to clean. If the inside of your bag smells moldy, place a cedar or lavender sachet inside the bag for a month to refresh the interior. Don't neglect your zippers – Keep your zippers opening and closing smoothly, by smoothing a pea-sized amount of natural beeswax along the teeth of the zipper to maintain your fasteners’ grip. 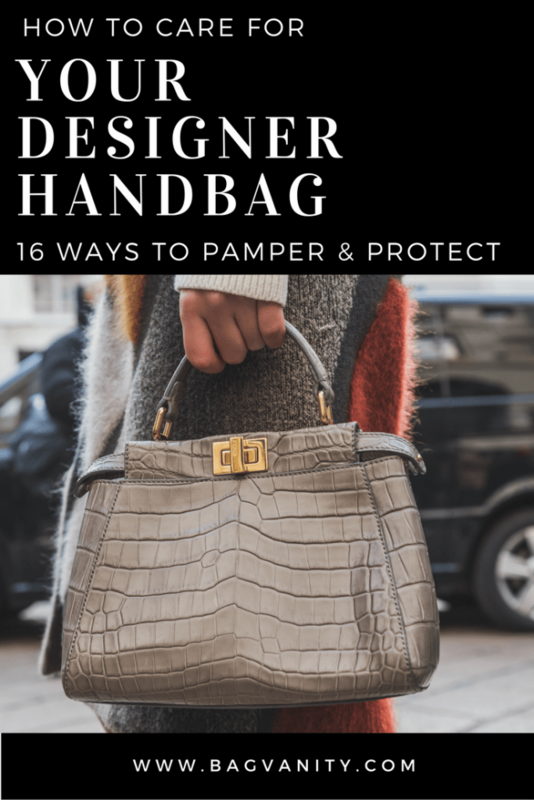 Articles on good grooming remind women to care for our bodies and clothes but often neglect the handbag as an essential image element for stylish women. Before you shop for a new wardrobe of evening dresses or sportswear, treat your handbags to a little TLC. With these tips, you are now well-versed on how to care for your designer handbag at home. Remember: If clothes make the man, immaculate handbags make the woman. Thank you for your time and effort. I’ve learnd a great deal . I normally dont spend time to write a comment, however it is not easy to find good information on this subject today. You did a lovely job in this article and I think I’ll check out your other articles as well. Keep up the good work!